The scene outside a Paris cafe is as short as is it shocking in its almost casual violence. A young woman in a scarlet red dress passes a bearded man in a black T-shirt with his jacket slung over one shoulder. Both are walking briskly. The man says something to the woman. She turns her head and replies. Both continue walking. Then the man picks up an ashtray and throws it in the direction of the woman, who is by now off camera. A second later the man is striding purposefully toward her and she has returned into view. [post_ads]He approaches her and without warning hits 22-year-old architecture student Marie Laguerre with a blow so violent she stumbles and falls against the glass barrier of the cafe terrace. As shocked customers drinking coffee and beer jump to their feet to remonstrate with the attacker, one brandishing a chair, he appears to argue with them briefly before walking off. 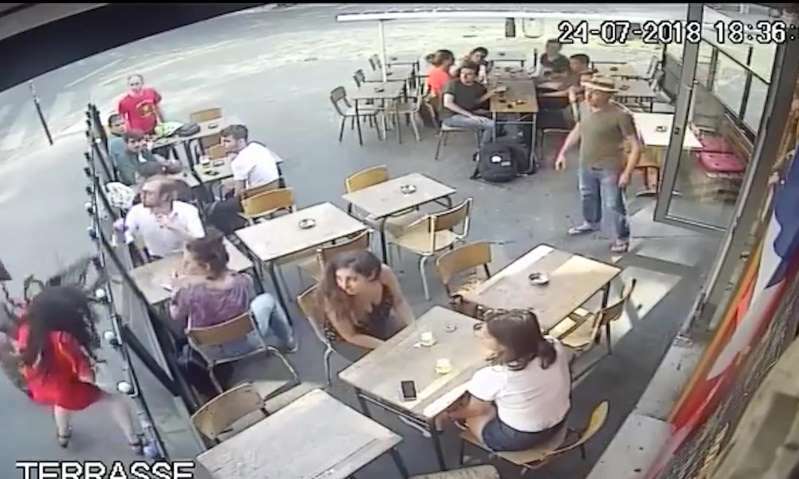 CCTV video of the attack on Laguerre, given to her by the cafe owner, has now gone viral after she posted it on Facebook. It has also bolstered the French government attempts to outlaw sexual harassment on the country’s streets and public transport. 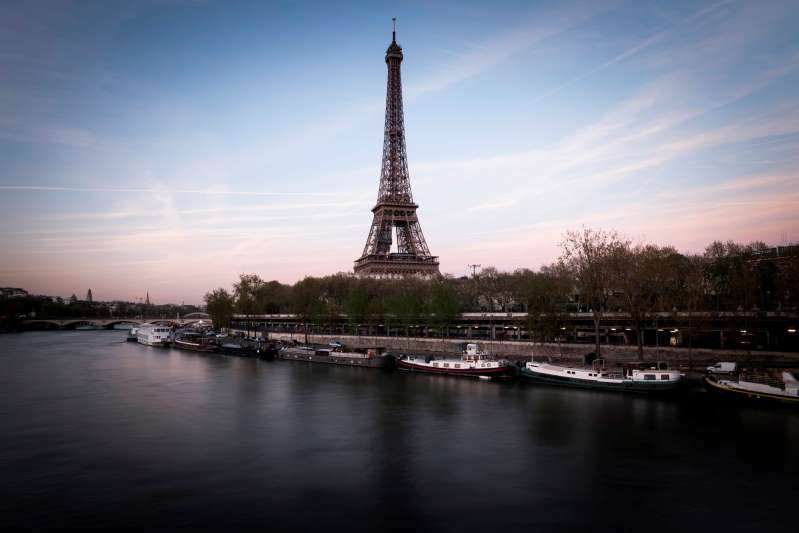 Laguerre was walking home around 6.45pm past a cafe close to Buttes-Chaumont park in the 19th arrondissement of north Paris, when she encountered her attacker. She said he “made dirty noises, comments and whistled” toward her as they passed. Instead of walking on, Laguerre decided to call him out, responding “Ta gueule!”, or shut up. Laguerre shouted back at the man. “I felt hatred. I refused to be demeaned, it was humiliating.” The man walked back and as she stood facing him, hit her hard. The Paris prosecutor’s office has opened an inquiry into the incident, but so far the attacker has not been identified. After the attack made the headlines, the French equalities minister, Marlène Schiappa, who persuaded the Assemblée Nationale to pass legislation in May introducing fines for sexual harassment on the street and public transport, said she was “outraged … but not surprised, unfortunately” by the assault. The bill, which outlaws “annoying, following and threatening” a woman as well as making sexist comments, is scheduled to be adopted in the next week. Fines come into effect in the autumn. “The political response must be strong and it is, because for the first time in France we will fine those responsible for street harassment,” Schiappa said. Laguerre told journalists she did not regret challenging the man verbally. She said she could have run off but she “wasn’t going to look down and certainly wasn’t going to apologise”. Posting the video on YouTube, Laguerre wrote in French: “This is unacceptable behaviour. It happens everyday. These men think they can do anything in the street, who think they are allowed to humiliate us and who don’t like it when we are offended. It’s unacceptable.